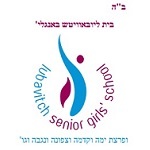 Girls from around the world, including girls from Lubavitch Senior Girls' School, competed in the Chidon Sefer Hamitzvos final event, culminating months of studying the Sefer Hamitzvos. The game show was the highlight of a Shabbaton weekend in Crown Heights, beginning with the final tests followed by exciting trips. This year's Chidon Game Show finale event took place at the Newark Symphony Hall in Newark, NJ. Mazel tov to all girls who took part in the tests and a special mazel tov to Yehudis for her Silver Trophy.